Coldplay are a British rock band formed in London in 1996. The four members, lead singer and pianist Chris Martin, lead guitarist Jonny Buckland, bassist Guy Berryman and drummer Will Champion were at University College London and came together from 1996 to 1998, during which time the band changed names from Pectoralz, to Starfish, then Coldplay. Creative director and former manager Phil Harvey is often referred to as the fifth member by the band. They recorded and released two EPs: Safety in 1998 and The Blue Room in 1999. The latter was their first release on a major label, after signing to Parlophone. Coldplay performing in Hamburg, Germany in 2017. From left to right: Jonny Buckland, Will Champion, Chris Martin and Guy Berryman. Coldplay achieved worldwide fame with the release of the song "Yellow" in 2000, followed in the same year by their debut album Parachutes, which was nominated for the Mercury Prize. The band's second album, A Rush of Blood to the Head (2002), was released to critical acclaim and won many awards, including NME's Album of the Year. Their next release, X&Y, the best-selling album worldwide in 2005, received mostly positive reviews, though some critics felt it was inferior to its predecessor. Their fourth studio album, Viva la Vida or Death and All His Friends (2008), the best-selling album worldwide of 2008, was produced by Brian Eno and released to largely positive reviews, earning three Grammy Awards. In October 2011, Coldplay released their fifth studio album, Mylo Xyloto, which topped the charts in over 34 countries, was the UK's best-selling rock album of 2011, and received mixed reviews. In 2014, they released their sixth album, Ghost Stories, which also received mixed reviews and topped several national album charts. In December 2015, the band released their seventh album, A Head Full of Dreams, which reached the top two in most major markets, but received generally mixed reviews. Coldplay have won numerous awards throughout their career, including nine Brit Awards, six MTV Video Music Awards, seven MTV Europe Music Awards and seven Grammy Awards from 29 nominations. They have sold more than 100 million records worldwide, making them one of the world's best-selling music artists. Three of their albums: Parachutes, A Rush of Blood to the Head and X&Y are among the best-selling albums in UK chart history. In December 2009, Rolling Stone readers voted the group the fourth-best artist of the 2000s. Coldplay have supported various social and political causes, such as Oxfam's Make Trade Fair campaign and Amnesty International. They have also performed at charity projects, including Band Aid 20, Live 8, Global Citizen Festival, Sound Relief, Hope for Haiti Now: A Global Benefit for Earthquake Relief, One Love Manchester, The Secret Policeman's Ball, Sport Relief and the UK Teenage Cancer Trust. Chris Martin and Jonny Buckland first met during their orientation week at University College London (UCL) in September 1996. The pair spent the rest of the university year planning a band, ultimately forming a group called Pectoralz. Guy Berryman, a classmate of Martin and Buckland, later joined the group. By 1997, the group, who had renamed themselves Starfish, performed gigs for local Camden promoters at small clubs. Martin also had recruited his longtime school friend Phil Harvey, who was studying classics at the University of Oxford, to be the band's manager. Coldplay have since accepted Harvey as the fifth member of the group. The band's line-up was completed when Will Champion joined to take up percussion duties. Champion had grown up playing piano, guitar, bass, and tin whistle; he quickly learned the drums (despite having no previous experience). The band finally settled on the name "Coldplay" which was suggested by Tim Crompton, a local student who had been using the name for his group. By 1997, Martin had met Classics student Tim Rice-Oxley. During a weekend in the English village Virginia Water in Surrey they asked each other to play their own songs on the piano. Martin, finding Rice-Oxley to be talented, asked him to be Coldplay's keyboard player but Rice-Oxley refused as his own band, Keane, was already active. Days after, this event would shape the second line-up of Keane and keep Coldplay's unaltered, thus leaving both bands as quartets. In 1998, the band released 500 copies of the EP Safety. Most of the discs were given to record companies and friends; only 50 copies remained for sale to the public. In December of that year, Coldplay signed to the independent label Fierce Panda. Their first release was the single "Brothers & Sisters", which they had quickly recorded over four days in February 1999. After completing their final examinations Coldplay signed a five-album contract with Parlophone in early 1999. After making their first appearance at Glastonbury the band went into the studio to record a second EP, titled The Blue Room. Five thousand copies were made available to the public in October, and the single "Bigger Stronger" received BBC Radio 1 airplay. The recording sessions for The Blue Room were tumultuous. Champion was briefly fired from the band, but Martin later pleaded with him to return after kicking him out, and because of his guilt, went on a drinking binge. Eventually, the band worked out their differences and put in place a new set of rules to keep the group intact. Inspired by bands like U2 and R.E.M., Coldplay decided that they would operate as a democracy. Additionally, the band determined they would fire anyone who used hard drugs. The band initially planned to record their debut album in the space of two weeks. However, tours and other live performances caused the recording to spread out between September 1999 and April–May 2000. The album was recorded at Rockfield Studios, Matrix Studios, and Wessex Sound Studios with producer Ken Nelson, although the majority of Parachutes' tracks were recorded at Liverpool's Parr Street Studios (where they accessed three studio rooms). The mixing process on all songs for the album was done by American engineer Michael Brauer in New York. During that period, they played on the Carling Tour, which showcased up-and-coming acts. Was it something to do with how vulnerable a rain-soaked Chris Martin looked in the video for "Yellow"? Was it the romance of his lyrics, allied to the dramatic sweep of the music? Whatever it was, "Yellow" ushered in a fresh timbre of songwriting: yearning melancholy, buoyed by a sense of uplift. —The Guardian ranked "Yellow" and its impact on the change in direction in mainstream rock number 47 on their list of the 50 key events in rock music history. After releasing three EPs without a hit song, Coldplay had their first Top 40 hit with the lead single from Parachutes, "Shiver", which was released in March 2000, the same week Coldplay played the Tunbridge Wells forum in support of the band Terris. Shiver went on to peak at the number 35 position on the UK Singles Chart. June 2000 was a pivotal moment in Coldplay's history: the band embarked on their first headlining tour, including a showing at the Glastonbury Festival. The band also released the breakthrough single "Yellow". It was Coldplay's first release to reach the top five, rising to number four on the UK Singles Chart. "Yellow" and "Shiver" were initially released as EPs in the spring of 2000. The former was later released as a single in United Kingdom on 26 June 2000. In the United States, the song was released as the lead single from the then-untitled debut album. In October 2000, the track was sent to US college and alternative radio outlets. Coldplay released their first studio album, Parachutes, on 10 July 2000 in the United Kingdom via their record label, Parlophone. The album debuted at number one on the UK Albums Chart. It was released on 7 November 2000 by record label Nettwerk in North America. The album has been made available on various formats since its initial release; both Parlophone and Nettwerk released it as a CD in 2000, and it was also released as a cassette by US label Capitol in 2001. In the following year, Parlophone issued the album as an LP. Four singles were released from Parachutes, including "Shiver" and "Yellow", and enjoyed popularity in the UK and US. The third single was "Trouble", which reached number 10 in the UK charts. It was released more than a year later in the US, and reached number 28 in the Alternative Songs chart. In December 2001, the band released a limited-edition CD, Mince Spies, featuring a remix of "Yellow" and the Christmas song "Have Yourself a Merry Little Christmas". It was pressed to 1,000 copies, and was issued only to fans and journalists. Parachutes was nominated for the Mercury Music Prize in September 2000. Having found success in Europe, the band set their sights on North America, by releasing the album there in November 2000, and started the US Club Tour in February 2001. At the 2001 Brit Awards in February, Coldplay earned awards for Best British Group, and Best British Album. Although Parachutes was a slow-burning success in the United States, it eventually reached double-platinum status. The album was critically well received and earned a Best Alternative Music Album honours at the 2002 Grammy Awards. Chris Martin claimed, after the release of Parachutes, that the album's success was intended to elevate the band's status to the "biggest, best band in the world." After single-handedly managing the band until early 2001, Phil Harvey resigned from his role due to the stress of performing a role usually requiring a team of people. Harvey then took on the role of "creative director" and is often referred as the official fifth member by the band, while Dave Holmes took over as the band's manager. Live performances during their 2002 tour were noted for their use of strobe lighting. After the success of Parachutes, Coldplay returned to the studio in September 2001 to begin work on their second album, A Rush of Blood to the Head, once again with Ken Nelson producing. Since the band had never stayed in London before, they had trouble focusing. They decided to relocate in Liverpool, where they recorded some of the songs on Parachutes. Once there, vocalist Chris Martin said that they became obsessed with recording. "In My Place" was the first song recorded for the album. The band released it as the album's lead single because it was the track that made them want to record a second album, following a "strange period of not really knowing what we were doing" three months after the success of Parachutes. According to Martin "one thing kept us going: recording 'In My Place'. Then other songs started coming." The band wrote more than 20 songs for the album. Some of their new material, including "In My Place" and "Animals", was played live while the band was still touring Parachutes. The album's title was revealed through a post on the band's official website. The album was released in August 2002 and spawned several popular singles, including "In My Place", "Clocks", and the ballad "The Scientist". The latter was inspired by George Harrison's "All Things Must Pass", which was released in 1970. Coldplay toured from 26 March 2002 to October 2003 for the A Rush of Blood to the Head Tour. They visited five continents, including co-headlining festival dates at Glastonbury Festival, V2003 and Rock Werchter. 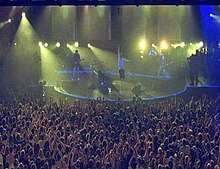 Many concerts showcased elaborate lighting and individualised screens reminiscent of U2's Elevation Tour and Nine Inch Nails' Fragility Tour. During the extended tour, Coldplay recorded a live DVD and CD, Live 2003, at Sydney's Hordern Pavilion. At the 2003 Brit Awards held at Earls Court, London, Coldplay received awards for Best British Group, and Best British Album. On 28 August 2003, Coldplay performed "The Scientist" at the 2003 MTV Video Music Awards at the Radio City Music Hall in New York City, and won three awards. In December 2003, readers of Rolling Stone chose Coldplay as the best artist and the best band of the year. At that time the band covered the Pretenders' 1983 song "2000 Miles" (which was made available for download on their official website). "2000 Miles" was the top selling UK download that year, with proceeds from the sales donated to Future Forests and Stop Handgun Violence campaigns. A Rush of Blood to the Head won the Grammy Award for Best Alternative Music Album at the 2003 Grammy Awards. At the 2004 Grammy Awards, Coldplay earned Record of the Year for "Clocks". Coldplay performing in Barcelona during their Twisted Logic Tour in 2005. Coldplay spent most of 2004 out of the spotlight, taking a break from touring and releasing a satire music video of a song from a fictional band titled The Nappies while recording their third album. X&Y was released in June 2005 in UK and Europe. This new, delayed release date had put the album back into the next fiscal year, actually causing EMI's stock to drop. It became the best-selling album of 2005 with worldwide sales of 8.3 million. The lead single, "Speed of Sound", made its radio and online music store debut on 18 April and was released as a CD on 23 May 2005. X&Y entered the album charts of 20 countries at the number one position and was the third-fastest selling album in UK chart history. Two other singles were released that year: "Fix You" in September and "Talk" in December. Critical reaction to X&Y was mostly positive, though slightly less enthusiastic than that of its predecessor. The New York Times critic Jon Pareles infamously described Coldplay as "the most insufferable band of the decade", whereas NME awarded the album 9/10 calling it "Confident, bold, ambitious, bunged with singles and impossible to contain, X&Y doesn't reinvent the wheel but it does reinforce Coldplay as the band of their time". Comparisons between Coldplay and U2 became increasingly common. Martin said the critical review of the album by the New York Times made him feel liberated as he "agreed with a lot of the points... so, in a way, it was liberating to see that someone else realised that also." From June 2005 to March 2007, Coldplay went on their Twisted Logic Tour, which included festival dates like Coachella, Isle of Wight Festival, Glastonbury and the Austin City Limits Music Festival. In July 2005, the band appeared at Live 8 in Hyde Park, where they played a rendition of the Verve's "Bitter Sweet Symphony" with Richard Ashcroft on vocals. On 28 August, Coldplay performed "Speed of Sound" at the 2005 MTV Video Music Awards in Miami. In September, Coldplay recorded a new version of "How You See the World" with reworked lyrics for War Child's Help! : A Day in the Life charity album. In February 2006, Coldplay earned Best Album and Best Single honours at the Brit Awards. Three more singles were released during 2006 and 2007, "The Hardest Part", "What If" and "White Shadows". In October 2006, Coldplay began work on their fourth studio album, Viva la Vida or Death and All His Friends, with producer Brian Eno. Taking a break from recording, the band toured Latin America in early 2007, finishing the Twisted Logic Tour by performing in Chile, Argentina, Brazil, and Mexico. After recording in churches and other venues in Latin America and Spain during their tour, the band said the album would likely reflect Hispanic influence. The group spent the rest of the year recording most of the album with Eno. Performing live outside the BBC Television Centre during their Viva la Vida Tour in 2008. Martin described Viva la Vida as a new direction for Coldplay: a change from their past three albums, which they have referred to as a "trilogy". He said the album featured less falsetto as he allowed his voice's lower register to take precedence. Some songs, such as "Violet Hill", contain distorted guitar riffs and bluesy undertones. "Violet Hill" was confirmed as the first single, with a radio release date of 29 April 2008. After the first play, it was freely obtainable from Coldplay's website from 12:15 pm (GMT +0) for one week (achieving two million downloads), until it became commercially available to download on 6 May. "Violet Hill" entered the UK Top 10, US Top 40 (entering the Top 10 in the Hot Modern Rock Tracks chart) and charted well in the rest of the world. The title track, "Viva la Vida", was also released exclusively on iTunes. It became the band's first number one on the Billboard Hot 100, and their first UK number one, based on download sales alone. This was also the first Number One in the UK Singles Chart to be based solely on download sales. Upon release, Viva la Vida or Death and All His Friends topped the album charts worldwide, and was the world's best-selling album of 2008. It hit number one on the UK album chart, despite having come on the market only three days previously. In that time, it sold 302,000 copies; the BBC called it "one of the fastest-selling records in UK history". By the end of June, it had set a new record for most-downloaded album ever. In October 2008, Coldplay won two Q Awards for Best Album for Viva la Vida or Death and All His Friends and Best Act in the World Today. On 9 November, Coldplay were named the World's Best Selling Act of 2008 at the World Music Awards in Monte Carlo. They also picked up two other awards, World's Best Selling Rock Act and Great Britain's Best Selling Act. The band followed up Viva la Vida or Death and All His Friends with the EP Prospekt's March, which was released on 21 November 2008. The EP features tracks from the Viva la Vida or Death and All His Friends sessions and, as well as being available on its own, was issued as a bonus disc with later editions of Viva la Vida or Death and All His Friends. "Life in Technicolor II" was the only single released from the EP. Coldplay performing in October 2008. Coldplay began their Viva la Vida Tour in June, with a free concert at Brixton Academy in London. This was followed two days later by a 45-minute performance that was broadcast live from outside BBC Television Centre. Released in late 2008, "Lost!" became the third single from the album, featuring a new version with Jay-Z. After performing the opening set on 14 March 2009 for Sound Relief at the Sydney Cricket Ground, Coldplay headlined a sold-out concert later that same night. Sound Relief is a benefit concert for victims of the Victorian Bushfire Crisis and the Queensland Floods. On 4 December 2008, Joe Satriani filed a copyright infringement suit against Coldplay in the United States District Court for the Central District of California. Satriani's suit asserted that the Coldplay song "Viva la Vida" includes "substantial original portions" of the Satriani song "If I Could Fly" from his 2004 album, Is There Love in Space?. The Coldplay song in question received two Grammy Awards for "Song of the Year." The band denied the allegation. An unspecified settlement was ultimately reached between the parties. Coldplay were nominated for four awards at the 2009 Brit Awards: British Group, British Live Act, British Single ("Viva la Vida") and British Album (Viva la Vida or Death and All His Friends). At the 51st Grammy Awards in the same year, Coldplay won three Grammy Awards in the categories for Song of Year for "Viva la Vida", Best Rock Album for Viva la Vida or Death and All His Friends, and Best Vocal Pop Performance by a Duo or Group for "Viva la Vida". A live album entitled LeftRightLeftRightLeft was recorded at various shows during the tour. LeftRightLeftRightLeft, released on 15 May 2009, was to be given away at the remaining concerts of their Viva la Vida Tour. It was also released as a free download from their website. Following the Viva la Vida Tour, Coldplay announced another "Latin America tour" to take place in February and March 2010, in which they were to visit Mexico, Argentina, Brazil, and Colombia. In October 2009, Coldplay won Song of the Year for "Viva la Vida" at The American Society of Composers, Authors and Publishers (ASCAP) Awards in London. In December 2009, Rolling Stone readers voted the group the fourth best artist of the 2000s. In December 2010 the band released the single "Christmas Lights". The song received very positive reviews, and the music video features the actor Simon Pegg, a close friend of Chris Martin, who plays a violin-playing Elvis impersonator. Coldplay playing at MuchMusic in Toronto, September 2011. The band finished recording the new album in mid-2011. When Martin and Champion were interviewed by BBC Radio and asked about the album's lyrical themes, Martin replied "It's about love, addiction, OCD, escape and working for someone you don't like." When asked whether or not their fifth album would be out by the summer, Martin and Champion said that there was plenty of work to be done before releasing it. They confirmed several festival appearances before its release date, including a headlining spot at the 2011 Glastonbury Festival, T in the Park, Austin City Limits Music Festival, Rock in Rio, and Lollapalooza festival. In an interview on 13 January 2011, Coldplay mentioned two new songs to be included on their upcoming fifth album, "Princess of China" and "Every Teardrop Is a Waterfall". In a February interview, Parlophone president Miles Leonard told HitQuarters that the band were still in the studio working on the album and that he expected the final version would appear "towards the autumn of this year". On 31 May 2011, Coldplay announced that "Every Teardrop Is a Waterfall" was to be the first single for the fifth album. It was released on 3 June 2011. The band also presented five new songs at festivals during the summer of 2011, "Charlie Brown", "Hurts Like Heaven", "Us Against the World", "Princess of China" and "Major Minus". Coldplay performing in Atlanta, Georgia on 24 September 2011. On 12 August 2011, Coldplay announced via their official website that Mylo Xyloto was the new album title, and that it would be released on 24 October 2011. On 12 September the band released "Paradise", the second single from their upcoming album Mylo Xyloto. On 23 September 2011, tickets for Coldplay's European tour officially went on sale. Demand proved to be very high with most venues selling out in seconds. Mylo Xyloto was released on 24 October 2011, to mixed reviews, and topped the charts in over 34 countries. On 19 October 2011, Coldplay performed songs at Apple Inc.'s private memorial event for Steve Jobs, including "Viva la Vida", "Fix You", "Yellow" and "Every Teardrop Is a Waterfall". On 26 October their "Amex Unstaged" concert at the Plaza de Toros de Las Ventas in Madrid, Spain, was streamed by YouTube as a live webcast directed by Anton Corbijn. On 30 November 2011, Coldplay received three Grammy Award nominations for the 54th Annual Grammy Awards which took place on 12 February 2012 in Los Angeles, and the band performed with Rihanna at the ceremony. On 12 January 2012, Coldplay were nominated for two Brit Awards. On 21 February 2012, they were awarded the Brit Award for Best British Group for the third time. The album was the best-selling rock album in the United Kingdom, selling 908,000 copies. The album's second single, "Paradise", was also the best-selling rock single in the UK, selling 410,000 copies. At the 2012 MTV Video Music Awards on 6 September, "Paradise" won the award for Best Rock Video. Mylo Xyloto has sold over 8 million copies worldwide. Coldplay headlined the closing ceremony of the London 2012 Paralympic Games on 9 September 2012, where they performed alongside other artists including Rihanna and Jay-Z. To tie in with their performance at the closing ceremony, the group gave permission for bands who were participating in the Bandstand Marathon the opportunity to perform their 2008 single "Viva la Vida" to celebrate the end of the games. The laser and light effects from the group's Mylo Xyloto Tour. In October 2012, the music video for Coldplay's song "Hurts Like Heaven" was released. The video was based on the story of Mylo Xyloto, a boy who grew up in tyranny ran by Major Minus. The fictional comics entitled Mylo Xyloto continued on the story portrayed in the music video when the series was released in early 2013. A concert documentary film and live album Coldplay Live 2012 chronicles their tour in support of the Mylo Xyloto album. The film premiered theatrically for one night only, 13 November 2012, and was released on CD and home video on 19 November 2012. On 21 November, after a concert in Brisbane, Australia as part on the group's Mylo Xyloto Tour, Coldplay hinted they were set to take a three-year break from touring. Coldplay performed two shows with Jay-Z in the Barclays Center, Brooklyn, New York, on 30 December and New Year's Eve, and were set, which ended the Mylo Xyloto Tour. The Mylo Xyloto Tour was named the fourth-highest-grossing tour worldwide of 2012 with more than $171.3 million earned in ticket sales. Speaking to Australian radio station 2Day FM, Chris Martin revealed that the title for their next album: "is much easier to pronounce." Martin debunked speculation that they were taking a break from touring by saying, "This three-year break idea only came about because I said at a gig in Australia that we might not be back there for three years. That's probably true, but that's just how a world tour works. No chance are we taking a three-year break." On 9 August 2013, Coldplay announced the release of their song "Atlas", which featured on the soundtrack for the film The Hunger Games: Catching Fire. Its release got pushed back to 6 September 2013 (everywhere but the UK) and 8 September (UK). In December 2013 it was announced that future Coldplay releases will be distributed by Atlantic Records in the US due to restructuring within Warner Music Group following the purchase of Parlophone Records from EMI. Coldplay performing in 2014 during the Ghost Stories Tour. On 25 February 2014, the band unveiled "Midnight", a track from their yet-to-be released album. In early March 2014, it was announced that the band's sixth album, Ghost Stories, would be released 19 May 2014. Ghost Stories is a spiritually driven album that revolves around two major themes mentioned by Chris Martin. The album explores the idea of past actions, and the effects they can have on your future and one's capacity for unconditional love. The band took a different approach for their sixth studio album in contrast to their previous studio albums, with Martin inviting the band to contribute original songwriting material for the album, as opposed to building songs off his ideas as they had done during previous recording sessions. From April to July, Coldplay embarked on a six-date Ghost Stories Tour in support of the album, playing 'intimate' shows in six cities: the Beacon Theatre in New York City on 5 May, Royce Hall in Los Angeles on 19 May, Casino de Paris in Paris on 28 May, Tokyo Dome City Hall in Tokyo on 12 June, Enmore Theatre in Sydney on 19 June, and closed the tour at the Royal Albert Hall in London on 2 July 2014. The album was made available for pre-order on iTunes, alongside new single "Magic". Two more singles from the album, "A Sky Full of Stars" and "True Love", have since been released. Ghost Stories received mixed reviews. The album topped the charts in the UK, the US and most major markets. It received a Grammy Award nomination for Best Pop Vocal Album, and "A Sky Full of Stars" was nominated for Best Pop Duo/Group Performance. In December 2014, Spotify named Coldplay the most-streamed band in the world for 2014, and third most-streamed artist behind Ed Sheeran and Eminem. The band performing "Adventure of a Lifetime", during their headline setlist at Glastonbury 2016. The performance was their fifth at the festival, and a record-setting fourth as headliners. On 4 December 2014, Chris Martin announced in an interview with Zane Lowe on BBC Radio 1 that Coldplay were in the middle of working on their seventh studio album, A Head Full of Dreams. Martin stated it might be the band's final album and compared it to Harry Potter; "It's our seventh thing, and the way we look at it, it's like the last Harry Potter book or something like that." He added that, unlike their promotion efforts for Ghost Stories, the band will tour for the seventh record. In an interview with Jo Whiley on BBC Radio 2, Martin hinted at the style of the album by saying that the band was trying to make something colourful and uplifting, yet not bombastic. He also stated that it will be something to "shuffle your feet" to. On 11 December 2014, the band unveiled a new song, "Miracles", which was written and recorded for the World War II drama film Unbroken directed by Angelina Jolie. At the 2015 Billboard Music Awards on 17 May, Ghost Stories was named Top Rock Album. On 26 September, Coldplay performed at the 2015 Global Citizen Festival in Central Park's Great Lawn in New York, an event organised by Chris Martin that advocates an end to extreme global poverty. 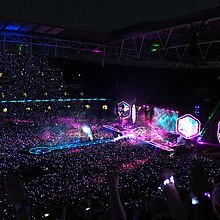 Coldplay, along with Beyoncé, Ed Sheeran and Pearl Jam, headlined the festival, which was broadcast on NBC in the US on 27 September and the BBC in the UK on 28 September. 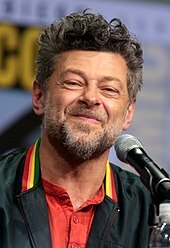 English actor Andy Serkis was a performance capture consultant for the band's "Adventure of a Lifetime" music video which saw them perform as chimpanzees. Speaking on Nick Grimshaw's Radio 1 Breakfast Show on the BBC on 6 November, Coldplay confirmed 4 December as the release date of A Head Full of Dreams, and a new song from the album, "Adventure of a Lifetime", premiered on the show. The album features guest appearances from Beyoncé, Gwyneth Paltrow, Noel Gallagher, Tove Lo and Barack Obama. The album reached number one in the UK, and number two in the US, Australia and Canada among others, where it was kept off the top spot by Adele's 25. The music video for "Adventure of a Lifetime" featured the band performing as monkeys, and they were provided consultation with renowned performance capture actor Andy Serkis. On 27 November 2015, the first dates to their 2016 A Head Full of Dreams Tour were announced. Latin American and European legs were listed, which included three dates at Wembley Stadium, London in June. The North America Tour, an extra Wembley concert, and an Oceania tour, were later added. On 5 December, the band headlined the opening day of the 2015 Jingle Bell Ball at London's O2 Arena. On 7 February 2016 they headlined the Super Bowl 50 halftime show. The band were joined by Beyoncé and Bruno Mars. In April 2016, the band were named the sixth best selling artist worldwide in 2015. Coldplay performing "Heroes" in tribute to David Bowie at the Amsterdam Arena, June 2016. On 26 June 2016, Coldplay closed the final day of the Glastonbury Festival in England. Their performance included a duet with Barry Gibb, the last surviving member of the Bee Gees. During the band's second night at MetLife Stadium in New Jersey on 18 July, Coldplay were joined onstage by Michael J. Fox to recreate a Back to the Future scene. Martin sang "Earth Angel" before introducing Fox onstage to join the band in performing the Chuck Berry classic "Johnny B. Goode". The band performed a full set in India for the first time as part of the Global Citizen Festival in Mumbai on 19 November 2016. This performance was attended by 80,000 people and also featured many Bollywood stars during the concert. The same month, Coldplay announced in interviews with Absolute Radio and Magic Radio in London that they would be releasing new songs in a new EP called the Kaleidoscope EP. Described as being made from a leftover "bag of ideas" from the recording of A Head Full of Dreams, Martin stated that it would be released in "a couple of months". The band officially announced that the EP would be released in 2017. Coldplay playing the second of three sold out concerts at Stade de France in Paris in July 2017. On 22 February 2017, the band released a long-awaited and teased collaboration track with EDM duo the Chainsmokers called "Something Just like This". Reaching number 2 in the UK Singles Chart and number 3 on the US Billboard Hot 100, it was the lead single from Coldplay's thirteenth extended play Kaleidoscope, released on 14 July 2017. Together, they debuted the song live at the 2017 Brit Awards with Chris Martin also performing a tribute song to the late George Michael. On 2 March, Martin's birthday, the band released a track from the EP, "Hypnotised". Two further singles from the EP, "All I Can Think About Is You" and "A L I E N S", were released on 15 June and 6 July 2017 respectively. On 15 August 2017, Coldplay announced that a live album covering the A Head Full of Dreams Tour would be released. Recorded between 8 and 15 November 2017, it was released on 7 December 2018, entitled Live in Buenos Aires. The album covers the final concert of the tour in La Plata. On 8 October 2017, Coldplay debuted live their new single "Life is Beautiful" during their concert at SDCCU Stadium in San Diego, California. The song was written in support after the earthquake that affected Mexico on 19 September. 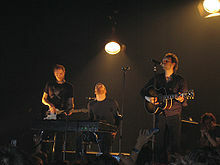 Part of the band's show was broadcast at the end of Estamos Unidos Mexicanos, a benefit concert taken place at Mexico City's Zócalo, which included "Fix You", "Viva La Vida", "Adventure of a Lifetime" and their new song. Martin stated that the concert's and song's proceeds would be destined to relief efforts for Mexico and other countries. A Head Full of Dreams Tour concluded in November 2017. Grossing over $523 million, in 2017 it was listed as the third highest-grossing concert tour in history. On 30 November 2018, Coldplay released Global Citizen EP 1 under the name Los Unidades. It includes "E-Lo", a song with Pharrell Williams featuring Jozzy. Proceeds from the EP will go towards efforts to end global poverty. From the album A Rush of Blood to the Head, Martin wrote "The Scientist" after listening to George Harrison's "All Things Must Pass". Coldplay's musical style has generally been regarded as alternative rock, pop rock, post-Britpop, and pop. Chris Martin once proclaimed the band's music as "limestone rock" in comparison to "hard rock". The band's music has been called "meditative" and "blue romantic"; it "[reflects] on their emotions" and Martin "endlessly examine[s] his feelings". Coldplay started out as one of many earnest post-Britpop bands. In the late 1990s, the EPs released by the band had characteristics of dream pop, setting them apart from later studio albums. The tone of the band's first studio album Parachutes, which saw them emerge as one of the most prominent modern bands in British popular culture, was described as melodic pop with "distorted guitar riffs and swishing percussion" but also being "exquisitely dark and artistically abrasive". Their alternative rock style has been compared to bands like U2, Oasis and Radiohead. The band acknowledges the Scottish rock band Travis as a major influence on their earlier material. Coldplay at Wembley Stadium in 2016. Their live shows have evolved over time making them visually spectacular, which include using lasers, glowballs and Interactive LED wristbands that light-up concertgoers. In their second studio album A Rush of Blood to the Head, the band drew inspiration from artists like Echo & the Bunnymen, Kate Bush, George Harrison and Muse. The songs in it were considered to contain "lush melodies and a heartbreak" and that they had a "newfound confidence." The music on their third release X&Y has been considered to be "ruminations on Martin's doubts, fears, hopes, and loves." It was particularly influenced by Johnny Cash and Kraftwerk. In Viva la Vida or Death and All His Friends, the group's style was moving towards art rock, being influenced by Blur, Arcade Fire and My Bloody Valentine. The band experimented with different instruments including orchestras, honky-tonk pianos and so on. Mylo Xyloto carries the concept album format from the love and war-induced Viva la Vida. It also expands the spectrum by including electronic & acoustic elements, featuring upbeat tones for the first time and predominantly being a pop rock album, in stark contrast to the band's previous works. Lyrical influences were taken from graffiti and the German resistance group White Rose. Regarding the band's wide international success, Parlophone's president Miles Leonard has stated that one of Coldplay's "secrets" is that they have never sounded like a parochial UK artist, saying: "Some bands are very proud to be British, but sometimes come across as being very 'British'. Coldplay never aspire to that; on one hand they sound British but on the other they sound like a huge global artist." In 2011, Coldplay were hailed as 'rock statesmen'. Make Trade Fair, abbreviated as MTF, shown on Chris Martin's piano during a concert. Despite their worldwide popularity, the band has remained protective of how their music is used in the media, refusing its use for product endorsements. In the past, Coldplay turned down multimillion-dollar contracts from Gatorade, Diet Coke, and Gap, who wanted to use the songs "Yellow", "Trouble", and "Don't Panic" respectively. According to frontman, Chris Martin, "We wouldn't be able to live with ourselves if we sold the songs' meanings like that." The song "Viva la Vida" was featured in a commercial for the iTunes Store, advertising its exclusive availability of the single as a digital download on iTunes. Additionally, Chris Martin appeared at an Apple Inc. Special Event on 1 September 2010, playing a number of songs, and also thanked Apple for their assistance in marketing "Viva la Vida". After the death of Steve Jobs, Coldplay performed four songs at Apple's Campus in Cupertino, further thanking Jobs for the support he gave them. Coldplay supports Amnesty International and performed for them at The Secret Policeman's Ball fundraiser in 2012. Martin is regarded as one of the most visible celebrity advocates for fair trade, supporting Oxfam's ongoing Make Trade Fair campaign. He has been on trips with Oxfam to assess conditions, has appeared in its advertising campaign, and is known for wearing a "Make Trade Fair" wristband during public appearances (including at Coldplay concerts). The band were also filmed for Make Poverty History, clicking their fingers. During the early years, Coldplay became widely known in the media for giving 10 per cent of the band's profits to charity, which they continue to do. Bassist Guy Berryman said, "You can make people aware of issues. It isn't very much effort for us at all, but if it can help people, then we want to do it." The band also asks that any gifts intended for them are donated to charity, according to a response on the FAQ section of Coldplay's website. Martin spoke out against the 2003 invasion of Iraq by the US, UK and other forces during the Teenage Cancer Trust show at London's Royal Albert Hall on 24 March 2003, where he encouraged the sell-out crowd to "sing against war". He would later endorse the US Democratic presidential candidates John Kerry and Barack Obama in 2004 and 2008 respectively. In June 2009, Coldplay began supporting Meat Free Monday, a food campaign started by Paul McCartney which attempts to help slow climate change by having at least one meat free day a week. From 17 and 31 December 2009, Coldplay auctioned a quantity of significant band memorabilia, including their first guitars. Proceeds went to Kids Company, a charity which helps vulnerable children and young people in London. A month later in January 2010, Coldplay performed a slightly modified version of "A Message", entitled "A Message 2010", at the Hope For Haiti Now telethon special, raising money for the victims of the 2010 Haiti earthquake. In 2011, Coldplay endorsed the song "Freedom for Palestine" by posting a link to the video. In less than a day 12,000 comments were posted to it. Some threatened to boycott the band, and a Facebook group was created that demanded an apology to Israel. The link to the song was eventually removed from their Facebook wall. According to Frank Barat of OneWorld, the link was not removed by Coldplay but by Facebook after "thousands of people (and computer generated posts) reported it as abusive." Album Artists (www.albumartists.co.uk) staged an exhibition of art from Mylo Xyloto at Proud Gallery in Camden to support the charity Kids Company in November—December 2012. The exhibition raised over £610,000 for the children's charity which supports disadvantaged children in London. In November 2014, Martin joined the charity group Band Aid 30, performing alongside current British and Irish pop acts on the latest version of the track "Do They Know It's Christmas?" to raise money for the 2014 Ebola crisis in Western Africa—this was the second time Martin has contributed to a Band Aid recording having performed in the 2004 version (Band Aid 20). In June 2016, the band supported Vote Remain in the United Kingdom European Union membership referendum. Following the Brexit result which saw 52% of the UK voting to leave the EU (despite the majority of younger people voting remain), Chris Martin stated: "This decision does not represent us or indeed most of our generation and the generation following us." On 4 June 2017, Coldplay performed at the One Love Manchester benefit concert for the victims of the 2017 Manchester Arena bombing where they also performed with Liam Gallagher on "Live Forever". On 24 September 2017, Chris Martin and Jonny Buckland performed as special guests at the "Concert for Charlottesville", a unity concert in Charlottesville, Virginia after the events of the "Unite the Right rally" that occurred on 12 August 2017. Coldplay contributed to the Plastic Oceans Album by Artists' Project Earth (APE) which was released on 20 February 2018 at the Ocean Plastics Crisis Summit in London. The motive of the album is to raise awareness and funds aiming to counter plastic pollution of the ocean. Coldplay have won numerous music awards throughout their history, including the American Music Award, nine Brit Awards (including winning the Best British Group four times), six MTV Video Music Awards, seven MTV Europe Music Awards, three World Music Awards, seven Billboard Music Awards and seven Grammy Awards out of 29 nominations. 2009 was their most successful year having received seven Grammy Award nominations at the 51st Grammy Awards, and won three. Coldplay have sold over 100 million records worldwide. ^ Creative director, see Band members section. ^ Jeff Wallenfeldt. "Coldplay". britannica.com. ^ a b c d "Newsreel: An appeal to Wikipedia enthusiasts". coldplay.com. Archived from the original on 9 August 2017. Retrieved 7 May 2016. ^ a b "Coldplay to Quit". Dailystar.co.uk. Retrieved 22 September 2014. ^ a b c "Coldplay, Noel Gallagher and Foo Fighters revealed as biggest selling rock acts of 2011". NME.COM. 17 January 2012. Retrieved 22 September 2014. ^ Luckhurst, Phoebe (4 December 2015). "Coldplay: the anatomy of new album A Head Full of Dreams, featuring President Obama, Beyonce, and Gwyneth Paltrow". London Evening Standard. Retrieved 30 January 2018. ^ Copsey, Rob (4 July 2016). "The UK's 60 official biggest selling albums of all time revealed". Official Charts Company. Archived from the original on 9 July 2016. Retrieved 12 May 2018. ^ a b "Green Day Named Top Artists of the Decade By Rolling Stone Readers". MTV News. Retrieved 22 September 2014. ^ "Front Row King". frontrowking.com. Retrieved 13 May 2014. ^ a b Ali, Mehreen F. (26 November 2005). "All That Is Cold play". Dawn. Archived from the original on 1 June 2008. Retrieved 1 May 2008. ^ Odell, Michael (1 May 2004). "The Shore Thing (Annotated)". Q magazine. pp. 48–52. Archived from the original on 13 October 2006. Retrieved 12 March 2014. ^ a b c Gundersen, Edna (13 February 2003). "Coldplay searching for a balance". USA Today. Retrieved 4 May 2008. ^ Alan Cross (2003). "The Ongoing History of New Music – Coldplay". 102.1 The Edge (Podcast). Corus Entertainment. Archived from the original on 5 May 2009. Retrieved 23 August 2009. ^ Sam Inglis (October 2000). " Recording Coldplay's Parachutes" Archived 11 August 2005 at the Wayback Machine. SOS. Retrieved 9 September 2008. ^ Verrico, Lisa (21 January 2000). "NME Carling Premier Tour – Arts". The Times. UK: 44. ^ Hann, Michael (12 June 2011). "Coldplay set the direction of mainstream rock". The Guardian. Retrieved 17 December 2017. ^ Bogdanov, Vladimir; Woodstra, Chris; Erlewine, Stephen Thomas (2002). All Music Guide to Rock: The Definitive Guide to Rock, Pop, and Soul. Backbeat Books. p. 235. ISBN 087930653X. Retrieved 7 September 2008. ^ Basham, David (16 October 2000). "Coldplay Escapes City For "Yellow" Single, Video". MTV. Retrieved 9 September 2008. ^ Cohen, Jonathan (2 August 2000). "Nettwerk To Release Coldplay Album". Billboard. Nielsen Business Media, Inc. Archived from the original on 3 November 2012. Retrieved 15 September 2008. ^ "Discography – Coldplay: Parachutes". Billboard. Nielsen Business Media, Inc. Archived from the original on 5 April 2013. Retrieved 30 September 2008. ^ Leahey, Andrew. "Coldplay > Biography". Allmusic. Retrieved 20 February 2016. ^ "Official Singles Chart Top 100 29 October 2000 – 4 November 2000". Official Charts. Retrieved 20 February 2016. ^ "Artists: Coldplay – 45 Charts – Alternative songs". Billboard. Retrieved 20 February 2016. ^ a b Moss, Corey (18 December 2001). "Coldplay Ready Second Album As 'Trouble' Heats Up". MTV. Retrieved 22 September 2008. ^ "Coldplay's Q for success". BBC News. BBC. 16 October 2000. Retrieved 15 October 2009. ^ Basham, David (1 August 2000). "Coldplay Finds American Home For "Parachutes"". MTV News. Retrieved 15 October 2009. ^ a b "Coldplay: The Brit Awards". Brits.co.uk. Archived from the original on 20 October 2014. Retrieved 22 September 2014. ^ Heffernan, Virginia (23 July 2008). "Coldpage". The New York Times. Retrieved 17 December 2017. ^ Cumberbatch, Franklin (13 August 2002). "Coldplay: Going Out of My Head" Archived 20 October 2012 at the Wayback Machine. VH1. MTV Networks. Retrieved 14 September 2008. ^ Nelson, Chris (12 February 2001). "Coldplay Warm Up On U.S. Tour Opener". MTV. Retrieved 14 September 2008. ^ Luerssen, John D. (25 April 2002). "Coldplay Sets Album Title, June Gigs". Billboard (Nielsen Business Media, Inc). Retrieved 14 September 2008. ^ Wener, Ben (22 August 2005). "Still a few steps short of greatness". The Orange County Register: Cover. ^ "2003 MTV Video Music Awards". Mtv.com. Retrieved 22 September 2014. ^ "Rock on the Net: Coldplay". Rockonthenet.com. Retrieved 22 September 2014. ^ Orshoski, Wes (29 January 2004). "Coldplay Enter London Studio To Begin Work on Third Album". MTV News. Retrieved 15 October 2009. ^ "Complete list of Grammy Award winners". USA Today. 24 February 2003. Retrieved 1 May 2008. ^ Maclean, Graeme. "Changing the World at UKULA". Ukula. Archived from the original on 10 December 2007. Retrieved 24 April 2008. ^ "BBC – Rock/Indie Review- Coldplay, X&Y". BBC. 20 November 2005. Archived from the original on 31 March 2008. Retrieved 25 April 2008. ^ "EMI shares hit by profit warning". BBC News. 7 February 2005. Retrieved 23 April 2008. ^ "Coldplay's X&Y is 'album of year'". BBC News. 9 December 2005. Retrieved 25 April 2008. ^ "Coldplay tops worldwide sales for 2005". CBC News. 31 March 2006. Archived from the original on 17 June 2008. Retrieved 15 October 2009. ^ Morford, Mark (17 June 2005). "Is Coldplay The New Jesus? Martin & Co. make moms smile and girls swoon and offend no one in their quest to love all puppies". San Francisco Chronicle. Archived from the original on 15 September 2005. Retrieved 25 April 2008. ^ Sherwin, Adam (30 April 2005). "Coldplay's new single breaks sound barrier". The Times. UK. Retrieved 25 April 2008. ^ Dwyer, Michael (30 June 2006). "Cold comfort". The Age. Melbourne. p. 1. Retrieved 11 January 2010. ^ "Leona Lewis tops singles charts as Take That go in at Number One in the album charts – both breaking records in the process". Daily Mirror. UK. 8 December 2008. Retrieved 11 January 2010. ^ Pareles, Jon (5 June 2005). "The Case Against Coldplay". The New York Times. Retrieved 24 April 2008. ^ "NME Album Reviews – Coldplay : X&Y". NME.COM. 12 September 2005. Retrieved 22 September 2014. ^ Lamb, Bill (5 June 2005). "Coldplay Discography". Top 40. Retrieved 3 May 2008. ^ Kreps, Daniel (6 October 2011). "Coldplay Hire U2's Favorite Director for Webcast". Yahoo! Music. Archived from the original on 8 July 2012. Retrieved 22 January 2012. ^ Reynolds, Simon (18 June 2008). "Coldplay 'liberated' by 'X&Y' criticism". Digital Spy. Retrieved 18 October 2008. ^ "The Daily Wrap 2005 ACL Music Festival". Austin City Limits. Archived from the original on 20 April 2008. Retrieved 25 April 2008. ^ "BBC – The Live 8 Event – Line Up and Artists". BBC. Retrieved 25 April 2008. ^ "MTV Video Music Awards 2005". Mtv.com. Retrieved 22 September 2014. ^ "Rush to download War Child album". BBC News. BBC. 12 September 2005. Retrieved 15 October 2009. ^ "Triple Brits success for Kaisers". BBC News. BBC. 15 February 2006. Retrieved 29 April 2009. ^ "Coldplay Reveal New Album Details, Timbaland Producing Ashlee Simpson, Courtney Love Blamed for Jack Osbourne's Drug Problem". Rolling Stone. 10 September 2007. Archived from the original on 19 April 2008. Retrieved 24 April 2008. ^ "Coldplay promise song of 'genius'". BBC News. BBC. 5 March 2007. Retrieved 26 August 2009. ^ Tyrangiel, Josh (9 June 2008). "Coldplay, Viva la Vida". TIME. 171 (67): 23. ^ Montgomery, James (9 June 2008). "Coldplay Give Track-By-Track Tour of Viva La Vida, Explain Handclaps, Tack Pianos and the Number 42. The album was released in 2008". MTV. Retrieved 18 October 2008. ^ a b c Serpick, Evan (27 February 2008). "Coldplay at Work on "Something Different" for Upcoming Album – Chris Martin talks about trilogy and change". Rolling Stone. Archived from the original on 18 April 2008. Retrieved 24 April 2008. ^ "News Ticker: Guns N' Roses, Britney Spears, Coldplay". Rolling Stone. 21 April 2008. Archived from the original on 22 April 2008. Retrieved 24 April 2008. ^ "BBC News: Coldplay song downloaded 2m times". BBC. 6 May 2008. Retrieved 17 July 2008. ^ "Coldplay giving away new single". BBC. 28 April 2008. Retrieved 28 April 2008. ^ "Coldplay". Coldplay. 28 April 2008. Archived from the original on 30 April 2008. Retrieved 28 April 2008. ^ Collis, Roland. "UKC". Iomusic News. p. 2. Archived from the original on 4 February 2009. Retrieved 22 November 2008. ^ "The Billboard Hot 100". Billboard. Retrieved 3 September 2008. ^ "BBC News: Coldplay's new single tops chart". BBC. 22 June 2008. Retrieved 17 July 2008. ^ "Coldplay top 2008's global chart". News.bbc.co.uk. Retrieved 22 September 2014. ^ "BBC News: New Coldplay album tops UK chart". BBC. 15 June 2008. Retrieved 17 July 2008. ^ "Most Album Downloads Ever". Hyper-Stars. Retrieved 3 September 2008. ^ "Yahoo! Chart Watch: Viva La Download Or Death And All His CDs". Yahoo!. 29 June 2008. Archived from the original on 15 July 2008. Retrieved 3 September 2008. ^ "Double Q Award win for Coldplay". BBC News. BBC. 6 October 2008. Retrieved 29 December 2008. ^ Dan Martin. "Coldplay named top-selling act in the world". the Guardian. Retrieved 22 September 2014. ^ "Coldplay Crowned World's Biggest Act". Cbsnews.com. 10 November 2008. Retrieved 22 September 2014. ^ Harris, Chris (2 September 2008). "Coldplay Will Issue EP of Viva La Vida Leftovers in December, New LP in 2009". MTV. Retrieved 3 September 2008. ^ Michaels, Sean (1 September 2008). "Coldplay confirm new EP and album". The Guardian. UK. Retrieved 28 September 2008. ^ "Coldplay Announce Deluxe Edition of Viva la Vida". antiMUSIC. 8 October 2008. Retrieved 8 October 2008. ^ Geoghegan, Kev (16 June 2008). "BBC Newsbeat: Coldplay make their live return". BBC. Retrieved 17 July 2008. ^ "BBC News: Coldplay play open air gig at BBC". BBC. 18 June 2008. Retrieved 17 July 2008. ^ Mitchell, Geraldine (24 February 2009). "Coldplay, Kings of Leon to headline bushfire relief concerts". Herald Sun. Australia: The Herald and Weekly Times. Archived from the original on 25 February 2009. Retrieved 25 February 2009. ^ Palathingal, George (25 December 2009). "Tickets pleased". The Sydney Morning Herald. p. 1. Retrieved 30 December 2009. ^ "Grammy Awards". grammy.com. Archived from the original on 27 July 2010. Retrieved 2 August 2010. ^ "Coldplay: Joe Satriani". Coldplay.com. 9 December 2008. Retrieved 10 December 2008. ^ "Guitarist Satriani sues Coldplay". BBC News. 5 December 2008. Retrieved 17 March 2011. ^ "Coldplay copyright case 'settled'". BBC News. 16 September 2009. Retrieved 6 May 2010. ^ Fitzmaurice, Larry (19 February 2009). "Video: Duffy, Kings of Leon Win, Coldplay Snubbed at Brit Awards". Spin. Retrieved 29 April 2009. ^ Kreps, Daniel (8 February 2009). "Plant & Krauss, Lil Wayne, Coldplay Win Big at 2009 Grammy Awards". Rolling Stone. Archived from the original on 11 February 2009. Retrieved 9 February 2009. ^ du Lac, J. Freedom (9 February 2009). "The Gang's All Here". The Washington Post. Retrieved 9 February 2009. ^ "Coldplay to give away live album". Coldplay.com. 1 May 2009. Archived from the original on 27 January 2013. Retrieved 1 May 2009. ^ "Latin America stadium tour announced". Coldplay.com. 1 October 2009. Archived from the original on 3 October 2009. Retrieved 1 October 2009. ^ Paine, Andre (14 October 2008). "McCartney, Coldplay honored at ASCAP awards". Billboard. Retrieved 15 October 2008. ^ "12 Great Coldplay Songs You Probably Don't Know". Rolling Stone. 18 December 2017. ^ Ziegbe, Mawuse (8 January 2011). "Coldplay's New Album About 'Addiction,' 'OCD'". MTV News. Retrieved 10 January 2011. ^ "Glastonbury Festival 2011 – Coldplay". BBC.co.uk. Retrieved 22 September 2014. ^ "T in the Park 2011 – Coldplay". BBC – T in the Park – 2011. Retrieved 22 September 2014. ^ "Coldplay Debut Another New Song At 'Austin City Limits' Taping". MTV News. Retrieved 22 September 2014. ^ "Coldplay and Maroon 5 Rock in Rio: Daily". The Rio Times. Retrieved 22 September 2014. ^ "Coldplay performs in Grant Park at Lollapalooza 2011!". Los Angeles Times. Retrieved 22 September 2014. ^ "Coldplay Album Update". Clashmusic.com. 13 January 2011. Retrieved 8 November 2011. ^ a b "Interview with Miles Leonard". HitQuarters. 7 February 2011. Retrieved 16 February 2011. ^ "Coldplay se defiende de las acusaciones de plagio". Los40.com. Retrieved 3 July 2011. ^ "Coldplay: News – New album, Mylo Xyloto, out on October 24". Retrieved 12 August 2011. ^ "Coldplay Arena Tour Sells Out in a Minute". Entertainmentwise. 23 September 2011. Archived from the original on 26 October 2011. Retrieved 8 November 2011. ^ a b Sean Michaels. "Coldplay to launch Mylo Xyloto comics". the Guardian. Retrieved 22 September 2014. ^ "Gwyneth Paltrow Called a Great Beard by Chris Martin". Popsugar.com. 27 October 2011. Retrieved 2 April 2012. ^ "Coldplay's new album 'Mylo Xyloto' getting mostly positive reviews". Blog.Zap2it.com. 24 October 2011. Archived from the original on 1 April 2012. Retrieved 11 April 2012. ^ Wingfield, Nick (19 October 2011). "Coldplay and Norah Jones Play at Memorial for Jobs". The New York Times. ^ Carlson, Erin (19 January 2012). "Rihanna, Coldplay to Perform Together at Grammy Awards". Billboard.biz. Retrieved 4 February 2012. ^ "Grammy Nominations 2012 in full". The Telegraph. 1 December 2011. Retrieved 4 February 2012. ^ "Adele, Coldplay Lead BRIT Award Nominations". Rolling Stone. Retrieved 22 September 2014. ^ "Brit Awards 2012: List of winners". BBC News. Retrieved 22 September 2014. ^ "Coldplay Basks In 'Paradise' With 2012 VMA Best Rock Win". MTV News. Retrieved 22 September 2014. ^ "Coldplay joined by Rihanna, Jay-Z at Paralympic closing ceremony". NME. IPC Media. 9 September 2012. Retrieved 5 October 2012. ^ "Bands across the UK to perform Coldplay hit in closing event of the London 2012 Festival". London 2012 Olympic and Paralympic Games. 7 September 2012. Archived from the original on 28 August 2012. Retrieved 5 October 2012. ^ "Coldplay Live 2012 tour film announced". 25 September 2012. Archived from the original on 3 March 2016. Retrieved 6 February 2016. ^ "Hiru urtez agertokietatik kanpo egongo da Coldplay" (in Basque). eitb.com. Retrieved 28 November 2012. ^ a b "Coldplay hint they will take three-year break after tour ends". The Sun. Retrieved 22 September 2014. ^ "Madonna, Lady Gaga And Coldplay Among 2012's Top Grossing World Tours". Capital FM. 31 December 2012. Retrieved 5 January 2013. ^ "COLDPLAY EYE NEW LP". Daily Star. Retrieved 30 November 2012. ^ "Coldplay: News". Coldplay.com. Archived from the original on 11 August 2013. Retrieved 9 August 2013. ^ "Coldplay, David Guetta Go To Atlantic Records; Radiohead & Pink Floyd Catalogs, Kylie Minogue, Damon Albarn To Warner Bros: WMG's US Plans for Parlophone (Exclusive)". Billboard. 18 December 2013. Retrieved 10 May 2014. ^ "Coldplay – Midnight". Indie Shuffle. Retrieved 25 February 2014. ^ "'Coldplay announce new album Ghost Stories, release first single "Magic"'". Consequence of Sound. Retrieved 3 March 2014. ^ Wilson, Jess. "Chris Martin was desperate for his bandmates to write Coldplay songs for Ghost Stories". Daily Mirror. Trinity Mirror. Retrieved 17 March 2015. ^ "Coldplay announce six 'intimate' shows". NME. IPC Media. Retrieved 2 March 2015. ^ "Coldplay – Magic". Indie Shuffle. Retrieved 3 March 2014. ^ "Reviews for Ghost Stories by Coldplay – Metacritic". Metacritic. 19 May 2014. Retrieved 6 August 2014. ^ Daisy Wyatt (3 July 2014). "Coldplay's Ghost Stories named best-selling album of 2014 so far". The Independent. Retrieved 4 December 2014. ^ Keith Caulfield (28 May 2014). "Coldplay's 'Ghost Stories' Starts at No. 1 With Biggest Debut of 2014". Billboard. Retrieved 4 December 2014. ^ "Sam Smith nabs Grammy nominations". BBC. Retrieved 11 December 2014. ^ "Welcome to the new Timeline. Note from the studio as the band work on their new album (and confirm its title)". Archived from the original on 15 May 2015. Retrieved 12 May 2015. ^ a b "Coldplay Hint at 'Final' Album 'A Head Full of Dreams'". Rolling Stone. 5 December 2014. Retrieved 7 December 2014. ^ "Coldplay: Uplifting tunes on way". Belfast Telegraph. 13 February 2016. ^ Payne, Chris (11 December 2014). "Hear Coldplay's New Slow Jam 'Miracles' From 'Unbroken' Soundtrack". Billboard. Retrieved 12 December 2014. ^ "Billboard Music Awards 2015: See the Full Winners List". Billboard. 17 May 2015. Retrieved 22 August 2015. ^ a b Hampp, Andrew (9 July 2015). "Beyoncé, Coldplay, Pearl Jam to Headline New York's 2015 Global Citizen Festival". Billboard. Retrieved 5 August 2015. ^ a b "Coldplay Monkeys Around in 'Adventure of a Lifetime' Video: Watch". Billboard.com. 27 November 2015. Retrieved 28 November 2015. ^ a b "Coldplay reveal 'final' album, A Head Full of Dreams". BBC News. BBC. 6 November 2015. Retrieved 6 November 2015. ^ Caulfield, Keith (13 December 2015). "Adele's '25' Rules for Third Week at No. 1, Coldplay Debuts at No. 2 on Billboard 200". Billboard. Prometheus Global Media. Retrieved 13 December 2015. ^ "ARIA Albums : Adele Blocks Coldplay From A Number One Debut". Noise 11. 19 December 2015. ^ "First legs of 2016 tour announced – extra dates added!". Coldplay. 27 November 2015. ^ "That... Was... EPIC! Coldplay Kick Off Capital's Jingle Bell Ball With Coca-Cola!". Capital FM. 8 December 2015. ^ "Coldplay to headline Pepsi Super Bowl 50 Halftime Show". Coldplay. 4 December 2015. Retrieved 31 December 2015. ^ "Coldplay will perform at Pepsi Super Bowl 50 Halftime Show" (Press release). National Football League. 3 December 2015. Retrieved 31 December 2015. ^ "Beyoncé and Bruno Mars join Coldplay for the Super Bowl 50 halftime show". Vox. ^ "Global Music Report" (PDF). International Federation of the Phonographic Industry. 12 April 2016. Retrieved 20 May 2016. ^ "Coldplay close Glastonbury 2016, with help from the Bee Gees". BBC. 27 June 2016. ^ "Michael J Fox joins Coldplay to recreate Back to the Future scene". The Guardian. 28 July 2016. ^ "Coldplay, Jay Z Rock the House at Global Citizen Festival India's Historic Debut". Billboard. 20 November 2016. Retrieved 21 November 2016. ^ "Highlights: Coldplay, AR Rahman, Jay Z perform at the Global Citizen Festival". 20 November 2016. Retrieved 21 November 2016. ^ "Coldplay at the London Palladium: Interview with Chris Martin and Jonny Buckland". 11 November 2016. Retrieved 27 November 2016. ^ "Coldplay announce that they have a new EP". 22 November 2016. Retrieved 27 November 2016. ^ "Coldplay to Release New 'Kaleidoscope' EP in 2017". Billboard. 29 November 2016. ^ "The Chainsmokers & Coldplay Deliver Live Debut of 'Something Just Like This' at 2017 Brit Awards". 22 February 2017. ^ "Coldplay announces new EP on Chris Martin's birthday; first song 'Hypnotised' released". 2 March 2017. ^ "Hear 'All I Can Think About You' + Kaleidoscope EP release details". 15 June 2017. ^ "Coldplay: A L I E N S - Music on Google Play". play.google.com. Retrieved 5 December 2018. ^ "Coldplay to debut new song for Estamos Unidos Mexicanos concert". 4 October 2017. ^ Connick, Tom (17 November 2017). "Coldplay's 'A Head Full Of Dreams' world tour becomes third highest-grossing of all time". NME. Retrieved 19 November 2017. ^ Lukarcanin, Emina (27 November 2018). "Global Citizen to Release First EP: Watch Pharrell Williams & Coldplay's 'E-Lo' Lyric Video". Billboard. Retrieved 27 November 2018. ^ Tracy, Liz. "Coldplay: A Head Full of Dreams Tour". Miami New Times. Retrieved 10 December 2017. ^ "Coldplay NME". NME. Retrieved 10 December 2017. ^ Carley, Brennan (16 May 2016). "Coldplay's 'Up&Up' Video Turns the Everyday Into the Extraordinary". Spin. Retrieved 10 December 2017. ^ "Coldplay, Satriani Copyright Lawsuit Dismissed". 15 September 2009. ^ Harrington, Jim (4 October 2017). "Review: Coldplay salutes Tom Petty, busts curfew in Levi's Stadium". Mercury news. Retrieved 10 December 2017. ^ Deusner, Stephen M. (1 June 2009). "Coldplay: LeftRightLeftRightLeft | Album Reviews". Pitchfork. Retrieved 11 September 2011. ^ Dowling, Stephen (19 August 2005). "Entertainment | Are we in Britpop's second wave?". BBC News. Retrieved 11 September 2011. ^ "Yahoo – Coldplay album 'Ghost Stories'". 15 January 2015. ^ Sharp, Elliott (1 February 2016). "10 Best Coldplay Songs". Red Bull. Retrieved 10 December 2017. ^ Caroline Hedley (9 February 2009). "Grammy awards 2009: Coldplay lead British triumph". The Daily Telegraph. UK. Retrieved 31 March 2009. ^ a b "X&Y review". Allmusic. Retrieved 6 May 2008. ^ Stephen M. Deusner (1 June 2009), "Coldplay LeftRightLeftRightLeft", Pitchfork, retrieved 25 July 2011 . ^ a b "Parachutes review". Allmusic. Retrieved 16 January 2016. ^ "Coldplay warms the renamed amphitheater". The Sacramento Bee. 30 May 2003. p. TK17. ^ "Travis Invented Coldplay". Contact Music. Retrieved 6 June 2009. ^ "Coldplay E-Zine: Issue 6" (PDF). coldplay.com. Archived from the original (PDF) on 8 April 2008. Retrieved 31 August 2008. ^ "A Rush of Blood to the Head review". Allmusic. Archived from the original on 15 September 2004. Retrieved 6 May 2008. ^ "Coldplay Give Track-By-Track Tour of Viva La Vida". MTV. Retrieved 3 September 2008. ^ Montgomery, James (9 June 2008). "Coldplay Give Track-By-Track Tour Of Viva La Vida, Explain Handclaps, Tack Pianos and the Number 42". MTV News. Retrieved 11 January 2011. ^ "Coldplay: Viva La Vida". Q. 15 May 2008. p. 2. Archived from the original on 20 January 2011. Retrieved 11 January 2011. ^ "Coldplay Call Mylo Xyloto A 'Schizophrenic Album' – Music, Celebrity, Artist News". MTV.com. 24 October 2011. Retrieved 12 July 2012. ^ "Coldplay at iTunes Festival". Itv.com. Archived from the original on 7 July 2011. Retrieved 8 November 2011. ^ a b "The State of Coldplay". Q. 1 August 2002. ^ Robert Ashton (21 May 2008). "Coldplay iTunes ad debuts on US TV". Music Week. Retrieved 2 October 2008. ^ "Apple Special Event September 2010". Apple Inc. Apple Inc. 1 September 2010. Archived from the original on 3 September 2010. Retrieved 1 September 2010. ^ Gundersen, Edna (2 June 2005). "Catch Coldplay". USA Today. Retrieved 25 April 2008. ^ "Coldplay coming to fix you". Gulfnews.com. Archived from the original on 8 December 2014. Retrieved 22 September 2014. ^ Bream, Jon (11 September 2005). "Rockin' Politics 2005". Star Tribune. ^ "Coldplay's slow-burning success". BBC News. BBC. 5 May 2005. Retrieved 9 April 2009. ^ Mercurio, John (9 February 2004). "Kerry, on a roll". CNN. Retrieved 1 May 2008. ^ "Chris Martin Shows Obama Support". Clash. 29 January 2009. Retrieved 4 February 2009. ^ "Band get behind campaign to have a veggie start to the week". Coldplay.com. 18 June 2009. Archived from the original on 20 June 2009. Retrieved 9 July 2009. ^ "Coldplay's Chris Martin to auction his first guitar for charity". NME. UK. 18 December 2009. Retrieved 4 January 2010. ^ "Hope For Haiti Now concert YouTube broadcast info". Coldplay.com. 22 January 2010. Archived from the original on 24 January 2010. Retrieved 22 January 2010. ^ "Coldplay angers fans by telling them to check out 'Freedom for Palestine' video By Elizabeth Flock". Washington Post. Retrieved 22 September 2014. ^ "Coldplay removes link to 'Freedom for Palestine' single from Facebook". Haaretz. Archived from the original on 10 August 2011. ^ Sherwood, Harriet (9 June 2011). "Palestine campaign song generates controversy ahead of release | World news". The Guardian. Retrieved 8 November 2011. ^ "Coldplay and Paris for Kids Company". Album Artists. Archived from the original on 11 May 2013. Retrieved 14 May 2013. ^ "Twitter / coldplay: Take a bow Coldplay fans. An incredible £610,000 raised so far from the Mylo art sale. PH". Phil Harvey. Retrieved 14 May 2013. ^ Singh, Anita (10 November 2014). "Band Aid 30: One Direction among celebrity line-up". Telegraph. London. Retrieved 8 December 2015. ^ "Coldplay's Chris Martin appeals for unity after Brexit: "This decision does not represent us"". Digital Spy. 28 July 2016. ^ Iasimone, Ashley (4 June 2017). "One Love Manchester: Ariana Grande Opens Benefit Concert With 'Be Alright,' Joins Black Eyed Peas for 'Where Is the Love?'". Billboard. Retrieved 4 June 2017. ^ "Ed Sheeran Among Top Musicians Featuring On "Plastic Oceans Album"". CIWM Journal Online. 21 February 2018. Retrieved 16 March 2018. ^ "The Ocean Conference | 5–9 June 2017 | Artists Project Earth (APE UK)". oceanconference.un.org. Retrieved 16 March 2018. ^ "Here Are All the Winners From the 2017 AMAs". Billboard. 19 November 2017. Retrieved 20 November 2017. ^ "Grammy awards 2009: Coldplay lead British triumph". Telegraph.co.uk. 9 February 2009. Retrieved 22 September 2014. ^ Alpad, Christina (3 April 2017). "The 'adventure of a lifetime' for Coldplay fans". The Manila Times. Retrieved 18 April 2017. Roach, Martin (September 2003). "Coldplay: Nobody Said It Was Easy". Omnibus Press. ISBN 0-7119-9810-8. Spivack, Gary (2004). Coldplay: Look at the Stars. MTV. ISBN 0-7434-9196-3. "Coldplay on what-music.com". Archived from the original on 9 February 2013. Retrieved 2 June 2012.